My name is Bonnie, I was born in Ontario and moved to British Columbia when I was 4. I have one younger brother and my father passed away when I was 19. When my father passed away when I was in hair dressing school. It was tough on me not just because I had lost my father but also because I was the next of kin, making me responsible for everything. He was in a motor cycle accident, where he was in a medically induced comma for two weeks before his condition got worse and I forced to make the choice to "pull the plug". I am a single mom too twins; Hannah and Hailey. While being a single parent is a lot of work (not to mention too twins) it is worth every ounce of energy. I am forchenet enough to have a mother that is very involved in my children's lives. My daughters are my whole world. 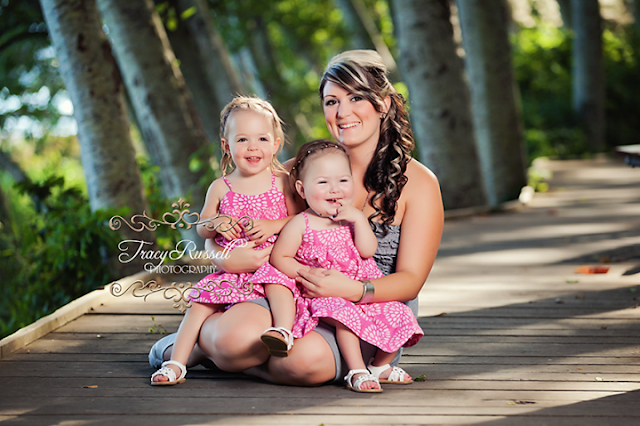 They came into this world a little early at 29 weeks gestation and are now just over two years old. They have taught me so much in their short lives like; to be thankful for what you have, be great full for all the little things and to strive for bigger and better things. Blogging is my hobby. With my daughters being born so premature I found an interest in writing about their journey. Our journey started with me finding out at 20 weeks gestation that I was having twins and one was measuring a few weeks smaller. I then spent two and a half months in Vancouver to be close to BC Women's Hospital and then two weeks admitted to the hospital waiting the twins arrival. 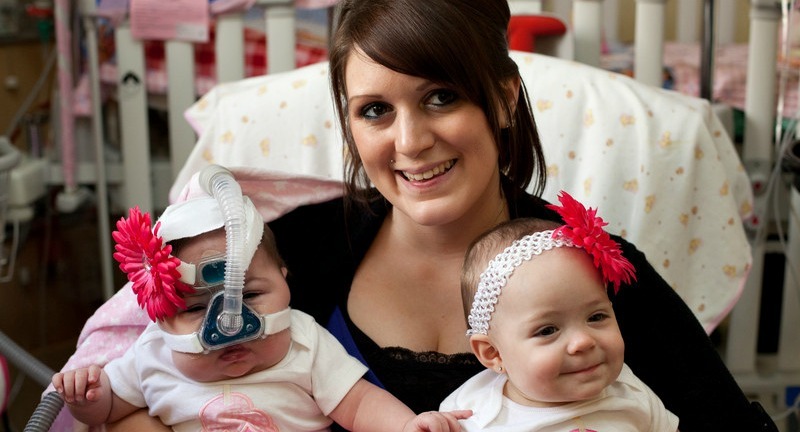 Hailey weighed 2lbs 14oz and stayed in the hospital for 93 days (two and a half months). She was lucky enough to leave the hospital with very minimal complications. 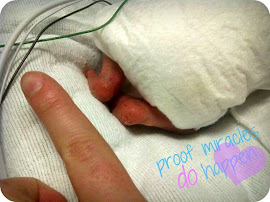 Hannah was born weighing 1lbs 7oz and was in the hospital for a total of 507 days (a year and a half). After Hailey came home we visited Hannah in the NICU as much as much as we could. Hannah came home eating from a feeding tube and breathing through a Tracheostomy with a ventilator. Our journey defiantly did not end when we were discharged from the hospital. We have around the clock in-home nursing care, physiotherapy appointments, tons of doctors appointments and a great amount of readmissions to Victoria General Hospital. My passion is hair. I love cutting hair, colouring hair and styling hair. I studied hair dressing at Comox Valley beauty school in 2009-2010, where I fell even more in love with it. I've always been an artistic person and enjoyed box dieing my friends hair in high school. I got my first hair dressing job at a salon up north where I worked for 9 months before having to take sick leave to go to Vancouver because of the twins pregnancy. I was able to go back to work a few months ago, working one day a week at great clips. Not only is it nice to be doing something I love again but its nice to get out of the house. With everything I've been through in the past 2-3 years I'd like to go back to school and take the community support worker/educational assistant course. Where I love hairdressing, I want more from a career. I can see my self being a support worker until I retire making enough money to generously support me and my children. I'd really like to be a educational assistant for children with disability's at school, I feel like with my personal experience with Hannah's medical needs I would be good for the job. I would love to work in the school system but I also know that you have to take jobs where you can get them. With that in mind I would also be very happy working as a community support worker for ministry of children and family development. When the girls were in the hospital I left a very abusive relationship and the ministry appointed me a community support worker who I found to be very helpful. I would like to be able to give another family the help that she provide me. I'm 23 years old and still trying to figure out who I am. The person I was before I had kids is not the person I am now and the things I wanted then are not what I want. It's time to start achieving greater things.